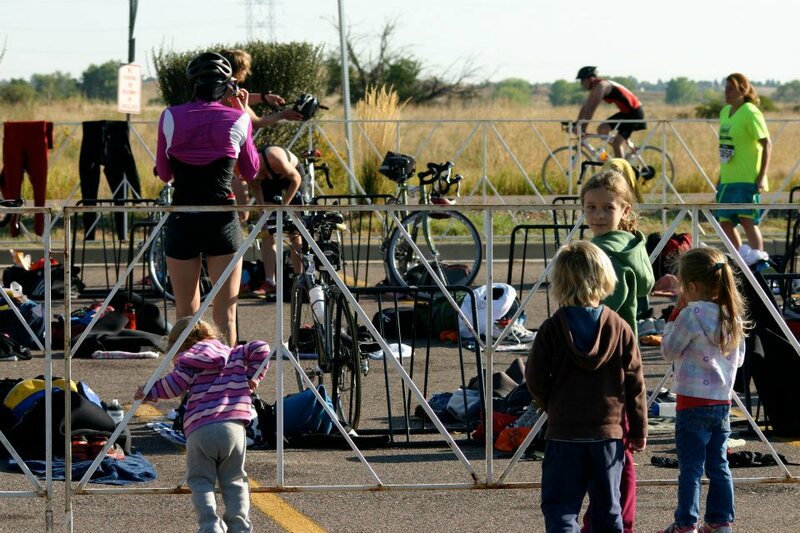 That is my youngest daughter trying to sneak into the transition area as I transition from the swim to the bike. Time is a tricky thing. Most of the time, moms feel like they don’t have enough time in a day to get it all done. Whether you’re working or taking care of the kids 24/7 there is a long to-do list that never seems to get shorter because you always need to add an item even if you are lucky enough to cross one off. Some moms are fortunate to have help while others are doing it all on their own. It can be a battlefield at times, but also very rewarding at other times. Let me talk about one item that should be on every mom’s list: “Doing something for yourself.” Everyone has a different idea of what this is: reading a book, going for a run, chatting with a friend on the phone (people still use those for talking right?) or maybe relaxing in the tub. I believe that this item must be checked off every day in order to maintain the flow of harmony and love. If mom is happy, then everyone else is happy. Well, my daily item involves training for my triathlon. This is something that I am doing for myself and I immerse myself in it almost every day. I don’t get paid to do it. I don’t get recognized for doing it. I just do it because I want to. I must admit that my committment to train for a triathlon does have its ups and downs. What is so great about being a mom who trains for a triathlon? 1. I am a positive role model to my children. I show them what it takes to have courage, discipline and intrinsic motivation. I am letting them know that it is okay to express yourself and make your own choices. They should not be afraid to take giant leaps. 2. My family is leading a healthier life. We follow a mostly vegetarian diet, eat plenty of fruits, vegetables and whole wheat products, and avoid processed foods. We go for walks, play at the playground and get involved in local sports. 3. It is the greatest feeling to accomplish something so challenging. I love pushing myself to the limits and I am a much happier person when I workout on a regular basis. The happiness and self-esteem I gain from my triathlon training and racing translates to my role as a mom. I truly believe that a happier mom is a more loving mom. 4. I have a chance to meet other moms just like me. I finally found my niche and have had less difficulty finding friends who share similar interests. We support each other through the rough patches and applaud each other on our successes. It is great knowing that I don’t need to be a room mom or soccer mom in order to achieve mommy greatness. My friends have taught me that I can be a great mom just by being who I am. What is not so great about being a mom who trains for a triathlon? 1. It takes away precious time. It is not like reading a book for a half an hour before bedtime. I commit a minimum of 2 hours a day, 6 days a week to working out. I get up early, go to the gym before or after work or just lug my kids with me to gym so they can be supervised in the daycare while I workout. That is less time that I have to spend with my family in addition to the time taken away while I am at work. 2. Criticism from other parents (or even spouses) for #1. They assume that you don’t want to spend time with your family and that you are selfish for choosing an activity that would take away so much precious time. Fortunately I have a very supportive husband who understands how important fitness is to me. There are some moms out there who do not have that kind of support. 3. Pure exhaustion. Between getting the kids ready for school, transporting kids to school and activities, going to work, cooking dinner, doing chores and training for this triathlon, I am one exhausted mom. If it weren’t for my husband’s help I would be even more exhausted. I have somehow managed to train for marathons while my husband was deployed… not sure how I survived, but it definitely wasn’t easy. 4. In #3 I mentioned something about doing chores. Yeah, that doesn’t really happen. Chores are considered very low priority so don’t be surprised when you enter my house. I am lucky if I can get the dishes done on a daily basis. And of course the laundry… there is a lot of laundry when you are training for a triathlon (and when you have 3 girls). Every path we choose will have its ups and downs. I know that I am on the right path even though it took me awhile to get here. I love being a mom AND a triathlete (along with all of the other roles I play). 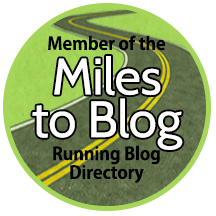 This entry was posted in Running Experiences and tagged mom triathletes, time to train for a triathlon, triathlon training, triathlons.